Donut Snob’s beautiful, tasty wares at Artisanal LA Fall 2013. I went to the Artisanal LA Fall 2013 show yesterday just to browse and support my friend Natalie Bovis aka Liquid Muse who was doing a booksigning there. And yet by the time Sunday’s show ended, I found myself walking home laden with shopping bags. So many great vendors this year, I couldn’t control myself. And the fact that most (all?) of them took credit cards, it was super easy to go crazy. 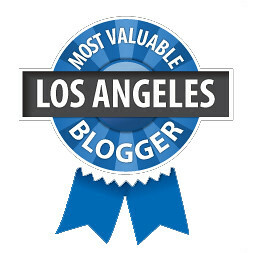 The event took place on the 2nd and 11th floors of the L.A. Mart downtown and was laid out by numbered aisles and numbered booths. But even though the map showed me exactly where Donut Snob and Phoney Baloney were, I explored the entire market. Because why not? Despite the presence of over 200 artisan makers, it still felt intimate. Each of the vendors would come out and entice you with their samples and then tell you all about their wares. And it wasn’t a hard sell as there were all unique, quality products. Donut Snob was conveniently located in the same booth as the Humble Cup coffee. And even though I wasn’t in the mood for sweets, I couldn’t resist those beautiful Instagrammable doughnuts. Even though it was still early in the day, they had already sold out of their seasonal caramel apple doughnut. So I took a two-fer of the salted caramel and S’mores. Then later in the day I returned for the pistachio orange, chocolate peanut butter, cinnamon berry, lemon curd. Pfew! I first got wind of Phoney Baloney’s vegan bacon on Twitter after Saturday’s Artisanal LA. Now, I’m a vegetarian who admittedly misses bacon but every veggie bacon I’ve tried has only made me sad about being a vegetarian. 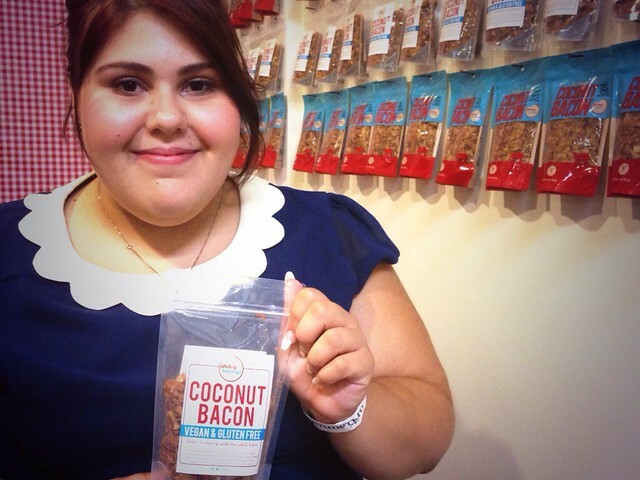 Until I tried Phoney Baloney’s coconut bacon. Now, to me, it actually tastes like bacon. That smokiness, that savoriness. But to actual meat eaters it might just taste like bacon coconut. But I love it. I sprinkled it on a veggie pizza, threw it in some scrambled eggs and even eat it out of the bag. Good thing I bought three bags. 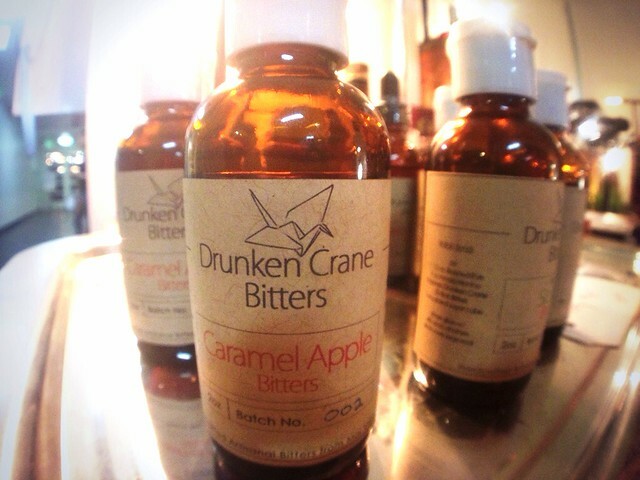 At the Artisanal LA booth, they also recommended using it as an ice cream topping or on cupcakes! For more ideas, check their Web site. When Chef Bruce Kalman left The Churchill, I was bummed. I love his fresh cuisine. But he gave that up to focus on his new pickle company, Prime Pickle. 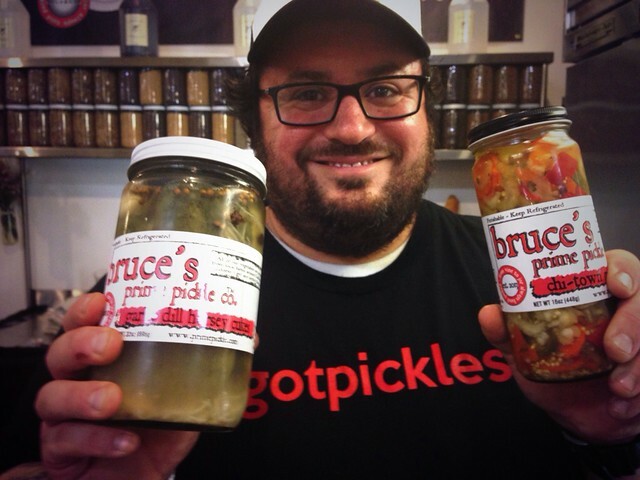 Now, I am not a fan of pickled anything and I had to break the news to Bruce when I saw him at the event. So he offered me a taste of the brine from his Bloody Mary asparagus sans vodka to try. Super spicy and savory that I imagined would be even better kicked up with booze. And I did taste his picklejuice which would be excellent as a pickleback. He wasn’t selling any picklejuice at Artisanal but says that it’s still in the works since he’s gotten requests from bartenders for it. Look for it to come out next month. Even though Magee’s House of Nuts has been around since 1917, opening in downtown’s Grand Central Market, this was the first time I ever got to try it. 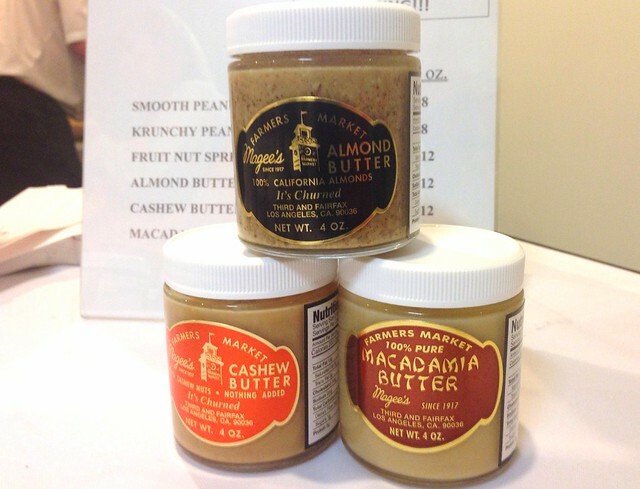 At their booth they had cashew, almond, macadamia and of course peanut butters. I only tried the almond butter which was thicker than ones I’ve had in the past. AND it actually wasn’t sweet. I usually use almond butter for making smoothies and sandwiches with honey and banana slices. This was perfect. And naturally I couldn’t resist getting the three mini jars of almond, macadamia and cashew for $10. Humble Cup’s instant pourover is a brilliant idea. The guy doing the demo at the Artisanal LA booth sorta reminded me of an old-timey guy selling a cure-all, but I loved his energy. “All you need is hot water,” he said as he opened the pouch of the portable coffee bag for me to smell. When he set up the little bag over the coffee cup and started to pour the hot water a la a pourover, I imagined all the places I’d use it. At work, camping in the woods, when I visit my parents, when I have to stay in a Motel 6. It wasn’t like my Tonx pourover at home but it would do in a pinch and is definitely more convenient than toting around a scale, handgrinder, bag of beans and Clever coffee dripper. I’ve only met “Drunken Crane” (that’s how I know him) on Twitter. I had no idea that he’d be at the show, let alone touting his new line of Drunken Crane cocktail bitters. I had just happened to walk up to his booth, drawn by the beautifully crafted light fixtures when I noticed on a small table to the side, a display of bitters. “Heyyy, those are bitters!” I said excitedly. There was no booze at this event, so you can imagine. Sure enough, he was selling three kinds: Sicilian, Jujube and a caramel apple that’s special for fall. He talked about using them with ginger ale or Coke. Convinced I bought a bottle of the caramel apple with visions of an autumny Manhattan and Old Fashioned. Yum! But he said that since it’s delicate that it would have to be used in conjunction with a lower-proof bourbon, not a high-proof rye which I usually use. So fun running into you! I also loved Donut Snob (obviously) and those pickles (SO good!!). The coconut bacon, on the other hand, totally tasted like BBQ chip flavoring on coconut to me…guess I am a true carnivore. Haha. LOL yeah, and I will take what I can get. I’m just so grateful they weren’t all rubbery and they actually tasted good!